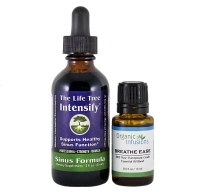 of the choice select herbs to promote proper sinus function. in the promoting of healthy, unobstructed sinus function. Intensify is your all-natural answer! Looking for an all-natural herbal solution for sinus relief? Wanting immediate results in a safe, natural professional strength formulation? Intensify is your Master Herbalist formulated solution, specifically blended with certified organic & wild harvested ingredients. 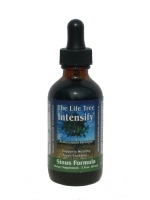 Within seconds, the effects of Intensify are noticeable and effective in promoting normal sinus function - naturally! 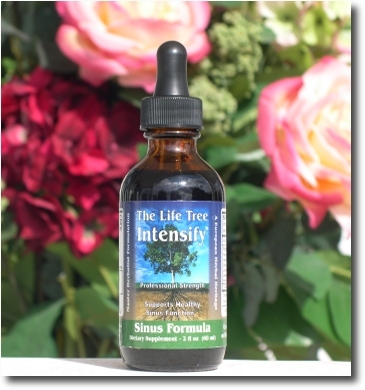 The secret to the effectiveness of the Intensify product is not only in the absolute purity and potency of the herbs used, but it is also in the Master Herbalist-formulated preciseness of the mixture ratios used. Intensify is the testiment of the cumulative knowledge of literally thousands of years of ancient herbology wisdom. This natural blended recipe has been carefully formulated and perfected like no other product on the market today! Containing absolutely NO fillers, chemicals, or synthetic ingredients! Traditional uses of horesradish include the powerful ability to support the bronchial, lung, and sinus functions. Effective at promoting clear breathing and assisting the upper respitory system. Throughout history, herbalists have extolled the vitues of echinacea. Echinacea rhizome is the most significant proven herbal immune system stimulant. It is also antibiotic, antiviral, antiallergenic, and helps in the restoration of upper respitory function. Spilanthes herb (commonly known as the Toothache Plant due to its numbing effect on the tooth and gums when chewed). The Spilanthes plant contains spilanthol which acts as an anesthetic/analgesic. It also has immune-enhancing components chemically similar to that of the Echinancea species. Traditional uses are numerous due to its anti-bacterial, anti-viral, and anti-fungal properties, and have a long history of use in India and in the surrounding region. Rich in European history and heritage, Elderberry has for centuries been used as a medicinal, cosmetic, and culinary plant. Traditionally it acts on the body as an emetic, a cathartic, and as a gentle stimulant. The flowers have diaphoretic, diuretic, alterative, emollient, and discutient properties. The flowers are extremely proficient at supporting and promoting proper bronchial, respiratory, and sinus function. Findings show that garlic is a powerful ingredient in a herbalist's list. Herbology has long claimed that garlic was a good germ killer. Research findings back up this fact. The very component (Allicin) that gives its strong odor is the one that also destroys or inhibits various bacteria, fungi, and yeast. In traditional uses from both China and Europe, garlic is recommended for the support of promoting and restoring normal lung and sinus function. The active ingredient in cayenne is a a substance called capsaicin, which acts as a powerful stimulant. Oddly enough, this fiery substance has been valued by herbalists throughout the ages for its soothing and restorative properties. In correct ratios, cayenne fruit is extremely effective in the assisting of the bronchial, lung, and sinus functions. Olive leaf was first used medicinally in Ancient Egypt, although it has long cultural uses in the entire Mediterrannean region. Olive leaf has the following properties: astringent, anti-bacterial, anti-fungal, anti-oxidant, anti-parasitic, anti-septic, anti-viral, febrifugal, and immune-boosting. Usage of horehound has been recorded in both ancient Egypt and Greece, while in western cultures horehound syrups and cough drops were used as early as the 1600s in England. Horehound has traditionally substantiated value as an expectorant and effectively supports the lungs. A papyrus dating from the time of Roman Empire describes the therapeutic value of licorice, and the root was also mentioned in the first Chinese herbal. Ancient works of Hippocrates, Theophrastus, and Pliny also all referenced the benefits of licorice. Today, the most common herbal use is in cough syrups and cough drops; licorice soothes the chest and helps promote sinus function. The traditional use of peppermint and other mint plants probably dates back to the herbal pharmacopoeia of ancient Greece. Of all the mints, peppermint is now probably the most widely used of all, due to its high content of menthol. 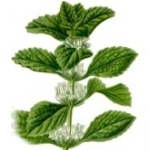 The menthol properties support the sinus and lung functions. The genus name of this member of the daisy family (Asteraceae) derives from Mithridates Eupator, ancient king of Pontus, who first used a closely related plant for medicinal purposes. In modern day Germany, where herbal remedies are more mainstream than it is in the United States, physicians currently use boneset to promote sinus and, lung, and head function. Goldenseals benefits can be attributed to its alkaloids, especially hydrastine and berberine. The latter is also responsible for its characteristic golden color. The alkaloids are strongly astringent and help reduce inflammation of the mucous membranes. Folklore reports how in olden times, Black Cherry Bark was used to clear the throats of singers and public speakers. In modern times Black Cherry Bark is considered very effective herbal esophagus and sinus support ingredient. Osha is strictly a mountain plant, and it is most commonly found in deep, moist soils rich in organic material. Osha has been clinically verified to possess anti-viral properties and is very effective for support of the lungs, bronchial, sinus, and the esophagus. The perennial Andrographis plant grows wild in thickets throughout south Asia. In summer and autumn, clusters of small white flowers appear; it is harvested when the flowers begin to bloom where it grows in the Guangdong, Guangxi, Fujian, Yunnan, Sichuan, Jiangsu, and Jianxi provinces. It is traditionally valued as a powerful herbal remedy in China, supporting proper lung function. Onions, one of the oldest vegetables known to humankind, are found in a large number of recipes and preparations spanning almost the totality of the world's cultures. Archaeological and literary evidence indicates that onions have been used fo both food and medicinal purposes in numerous cultures dating back to the Bronze Age and likely long before. Traditional herbal uses for onion include the support of the lungs, bronchial, and esophagus function. Yarrow is a perennial herb, native to Europe and Asia and naturalized in North America and most other countries throughout the world. Yarrow is a very valuable herb, with traditional uses to promote sinus and related functions. The formulator is a Master Herbalist and Clinical Herbalist with over 27 years of experience focusing on alternative therapies, formulating and creating formulae; testing herbs, vitamins and minerals; has created the Intensify blend as a tradtional way to promote sinus action support. Since 1982 he has been treating thousands and thousands of patients by the natural components and the herbs that are in the Intensify formula. In fact, many of the natural components and herbs in the Intensify formula have been used for centuries and centuries. They have proved to be extremely beneficial for various wellness applications throughout the times of Chinese Empire, the Egyptian Empire, the Greek Empire, the Roman Empire, the old Turkish Empire, and through the history of the Mediterranean cultures. However it is only under the wisdom of a Master Herbalist that the culmination of all this ancient knowledge has been precision-blended and perfected into a single formulation recipe - created to produce the maximum results, Intensify truly is the personification of the herbal wisdom of the ages. We stand one hundred per cent behind the effectiveness of Intensify, and do certify that the formula will help assist the body to promote natural sinus function. All of the ingredients used in the Intensify product are of the highest quality and grade possible; made with 100% certified organic & wild harvested ingredients. Click to add Intensify to shopping cart! 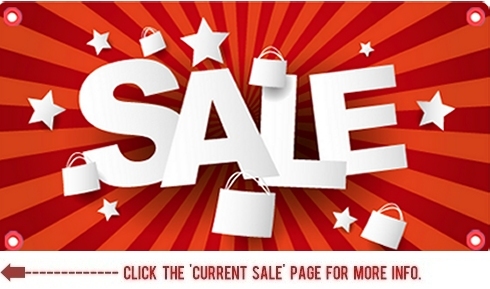 Click to view shopping cart or check out! Want To Fully Maximize Your Health? Immediate Sinus & Respiratory Relief. - Professional Strength Nasal & Sinus Formula. - Deep Relief Lungs, Chest & Throat Formula. For anytime use - whenever required. Note: The statements contained on this website have not been reviewed or approved by the Food and Drug Administration for their validity. Nothing contained on this site is meant to infer or state that the products are for the treatment of any disease or ailment. Always consult with your physician if you experience any medical problems. - David Heber, MD, PHD, FACP, FACN "PDR for Herbal Medicines"
- Burton Goldberg "Alternative Medicine: The Definitive Guide"
- Dan Bensky, Steven Clavey & Erich Stoger "Materia Medica Chinese Herbal Medicine"
- Alan Keith Tillotson, PHD, AHG, DAY "One Earth Herbal Sourcebook"
- Michael T. Murray, ND "Healing Power of Herbs"
- Mark Blumenthal "Clinical Guide to herbs"
- Alan R. Gaby, MD & Steven Austin, ND "A-Z Guide to Drug-Herb-Vitamin Interactions"
- Dorling Kindersley "Herbal Remedies"
- Dorling Kindersley "Encyclopedia of Herbal Medicine"
- Dorling Kindersley "Encyclopedia of Herbs & Their Uses"
- Claire Kowalchik & William Hylton "Rodale's Illustrated Encyclopedia of Herbs"
- James F. Balch, MD ""Prescription For Nutritional Healing"
- Alma R. Hutchens "Indian Herbology of North America"
- Lesley Bremness "Complete Book of Herbs"
- Michael Murray N.D. & Joseph Pizzorno N.D. "Encyclopedia of Natural Medicine"
- David Hoffman, FNIMH, AHG "Medical Herbalism"
- David Hoffman, FNIMH, AHG "Holistic Herbal"
- David Hoffman, FNIMH, AHG "Herbal Handbook"
- Michael Moore & Donna Chesner "Herbal Repertory in Clinical Practice"